Dmitry Medvedev has announced that in the near future Russia will be working mostly on cooperation with its Asian partners. According to the prime minister, sanctions against Russia, from a historical perspective, are unproductive, despite the negative economic indicators. The head of Russia’s government, Dmitry Medvedev, has declared that "this year will enter history books as a turning point, as a point of reference for the new age in which the war in Ukraine began, Crimea returned to Russia and sanctions were imposed against our country." 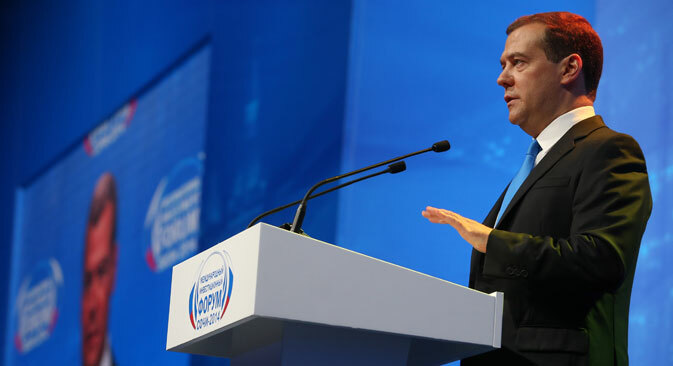 Speaking at the opening ceremony of the Sochi Investment Forum, Medvedev said that the cooling of relations with the West had forced Russia to review the position it had occupied until now. “We have the feeling that many of our western partners no longer consider the fact that Russia has its own interests. As a consequence, the entire idea of the world's evolution after World War II has been subjected to doubt," said Medvedev.